The 26th April is ANZAC (Australian and New Zealand Army Corps) day. It's our own version of Remembrance day, you can learn more here. This year was the ANZAC day centenary. 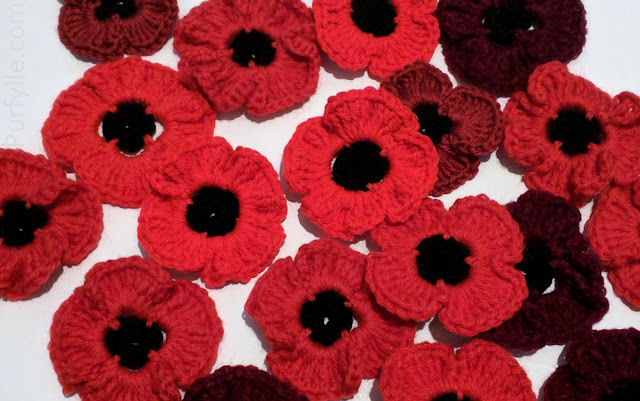 As usual I missed the boat and discovered too late about the incredible 5000 Poppies project. 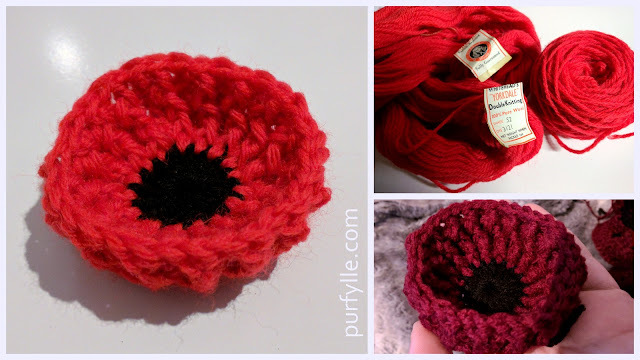 I'm getting started for next year when the the excitement of a big centenary has worn off and extra effort will be all the more important by crocheting my own poppies. 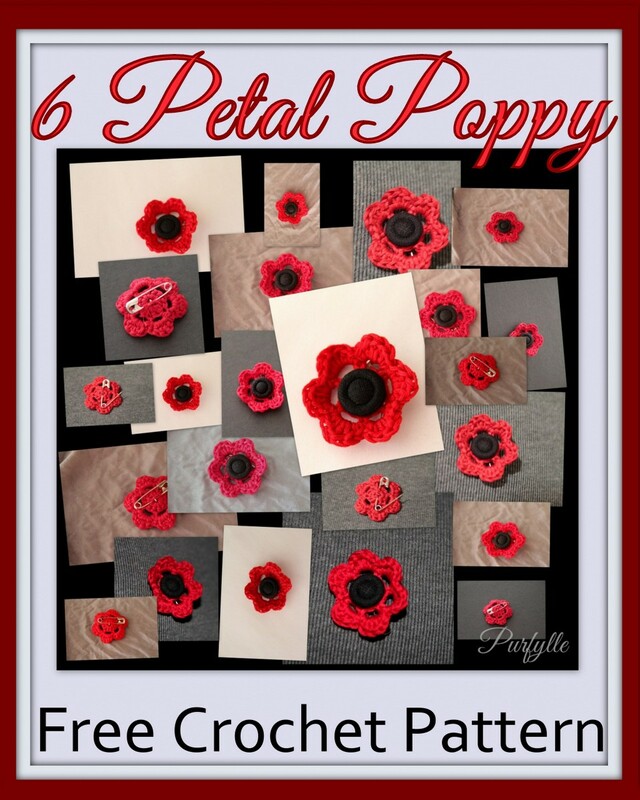 According to Wikipedia poppies have 4-6 petals so I made mine with 6 petals. I used a 2.5mm crochet hook and red embroidery floss to make my flower. I also added a black button from my hoards of buttons and stitched a safety pin to the back. Add your button and safety pin if desired so you can wear it on your lapel or pin it to your bag. SO cute and easy to make! Thanks for linking up at Happiness is Homemade. I'm pinning this one for future projects. LOVE this little flower! Pinned to a few places. 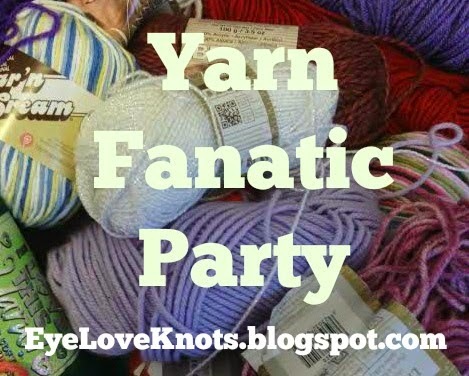 I would love if you shared this at our Yarn Fanatic Linky Party - http://eyeloveknots.blogspot.com/2015/04/yarn-fanatic-linky-party-34.html. Love this pattern! Our Remembrance Day is November 11. I'm going to make a bunch of these. Thanks for sharing. We also have Remembrance Day on November 11, ANZAC day is an additional day specifically to honour the ANZAC soldiers. I'd love to see your poppies when you get them done. Super Cute! What a great little embelishment! I think it would work up nicely in different colours and appliqued. Super Cute! Thanks for sharing on My 2 Favorite Things on Thursday - Link Party!! Hope to see you again tomorrow!! Love having you!! Pinned! !